Although Fritz Magazine is no longer a printed publication, it is still loved and read by thousands of South Australians each week online. You may no longer be able to hold a hard copy of Fritz in your hands, but you can still get your fix. 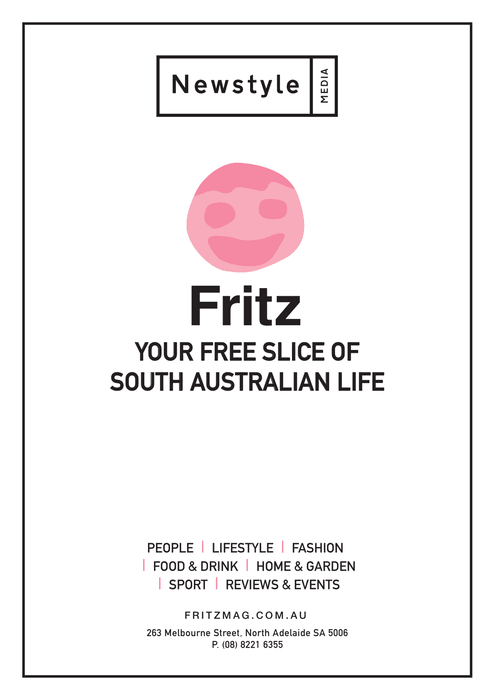 If you love your free slice of South Australian life, we encourage you to join thousands of others and subscribe to our Smiley Fritz email newsletter and read our content on the Fritz website. To find out how you can advertise your business, service or event to the Fritz audience online, through social media and with video, download our digital media kit here. Email us at hello@newstylemedia.com.au or phone 08 8221 6355.